Want to stand out as a self-storage facility that has top of the line customer service? Reflect on the communication you have with your tenants. Have you considered sending a welcome letter to first-time customers? Sending a warm welcome is a great way to invite tenants to the facility and also give them useful information they may forget if it’s just told to them once. 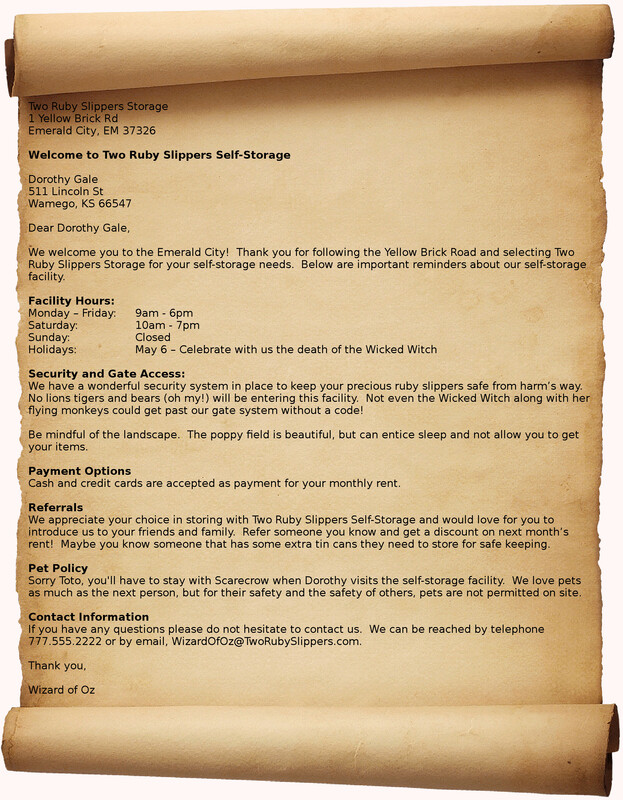 Let’s take a look into an example welcome letter the Wizard of Oz sent to Dorothy who is storing her items at Two Ruby Slippers Self-Storage. A welcome letter provides you the opportunity to remind the tenant of useful facility procedures. Facility information you may want to provide includes, hours of operation, security and gate information, payment options, and storing policies. Welcome letters are also a good opportunity to provide tenants with additional benefits and services the facility provides. This may include, delivery service details, insurance coverage options, and retail items the facility sells. Most importantly, sending a welcome letter verifies the tenant’s address. This is essential for future communication and if the letter is returned undeliverable, you can start the process of obtaining the correct address. First-time self-storage renting can be overwhelming for a lot of tenants. Making tenants feel like they belong is important in building a lasting relationship. By sending a welcome letter it provides the tenant with a sense of belonging. Does your facility have a unique way of welcoming tenant? Share with us how your facility makes new tenants feel at home by commenting below. When Andrea isn’t busy plotting how to survive a zombie attack, she is helping others as an Operations Analyst for the U-Haul Self-Storage Affiliate Network. Along with her duties as an operations analyst, Andrea manages the U-Haul Self-Storage Affiliate Network’s social media pages. 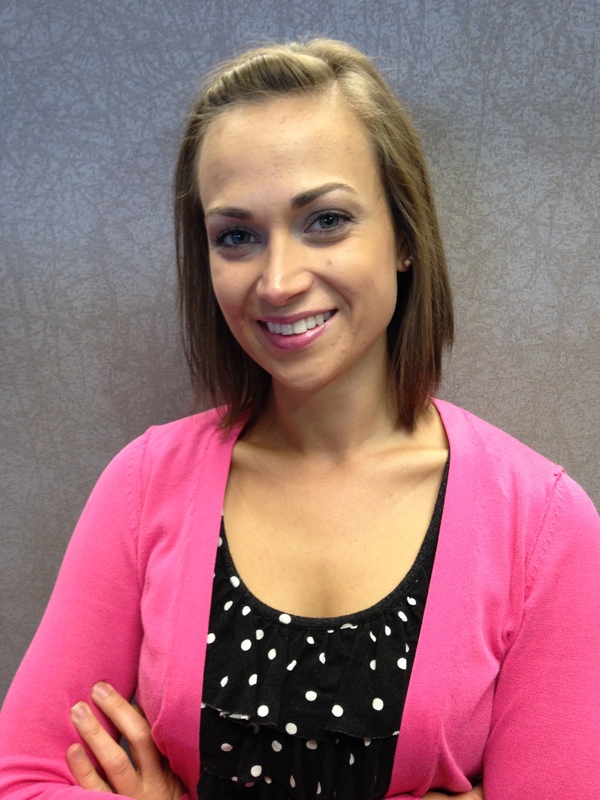 She is currently studying at Gannon University earning her MBA in Marketing and has previous experience in marketing and event planning. In her free time she enjoys going bowling and has recently hit her highest score of 150.